﻿ Adams Lake State Park - Ohio. Find It Here. 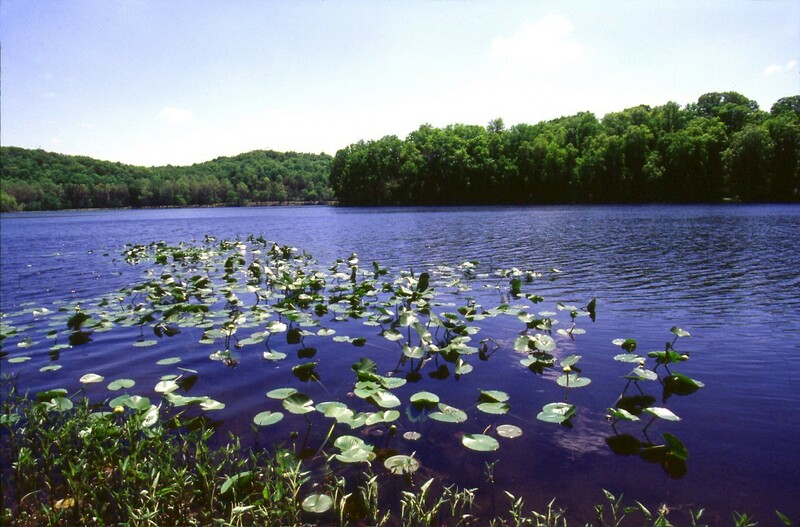 Located in Ohio's Bluegrass region, one of the state's most scenic and biologically interesting areas, Adams Lake State Park has much to offer the nature enthusiast. Remnant prairies and a quiet lake can be enjoyed in this small (50-acre) unique park.Historically a day-use park, Adams Lake now offers 10 primitive, non-reservable campsites. Nearby Shawnee State Park offers full-service camping, cabins, and a lodge for travelers.Adams Lake State Park lies in an area rich in natural diversity with many unique plants and animals. Wedged between the foothills of the Appalachian Mountains to the east and the glaciated land to the north and west, no other area of Ohio boasts a richer abundance of plant species.Known as the Bluegrass Region of Ohio, Adams County harbors scattered pockets of prairie communities, a remnant of the past when the great western prairies reached into Ohio. Sometime after the last glacial advance, the climate turned warmer and drier. It was during such periods that the prairie advanced eastward into Ohio. Purple coneflower, little blue stem and prairie dock provide an impressive display during the peak blooming season of mid-summer.